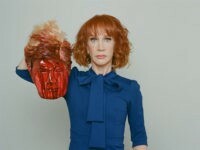 Missing from much of the news media coverage of comedian Kathy Griffin’s shock anti-Trump photoshoot is that the same photographer behind the image was previously accused of depicting the decapitation of Donald Trump. 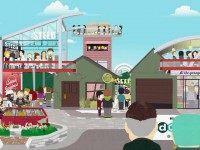 Entertainment Weekly writer Darren Franich has dubbed the current 19th season of Comedy Central’s South Park the “best in a decade” because of the show’s relentlessness in attacking the current liberal, politically correct outrage culture in recent episodes. Earlier this week at the Toronto International Film Festival, actor Tom Hardy shut down a gay reporter who ambushed him about his sexuality. Hardy now describes the reporter’s question as “annoying” and “humiliating,” and calls him out for invading his privacy. A week after Warner Bros. announced it would halt the production of all merchandise featuring the Confederate flag on General Lee, the iconic car from The Dukes of Hazzard, the show has inexplicably disappeared from TV Land’s lineup. Give me your tired, your poor, your huddled masses, and even your transgendered: Orange is the New Black transgender actor Laverne Cox is appearing as the Statue of Liberty on the latest cover of Entertainment Weekly. Tammy actress Melissa McCarthy is the latest female Hollywood celebrity to speak out against the industry’s perceived culture of sexism and misogyny. 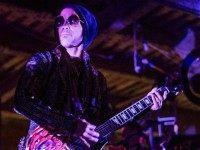 On May 9, Prince released a song for Freddie Gray, titled “Baltimore.” In it, he expresses support for Freddie Gray, Michael Brown, and gun confiscation.